Since North Bridge House Senior School’s multi-purpose Sports Hall opened in June 2014, there has been no stopping our legion of keen sports men and women. With a growing number of teams across a variety of sports, students of all ages enjoy the opportunity to hone their skills and partake in training, matches and tournaments in addition to their regular P.E lessons. 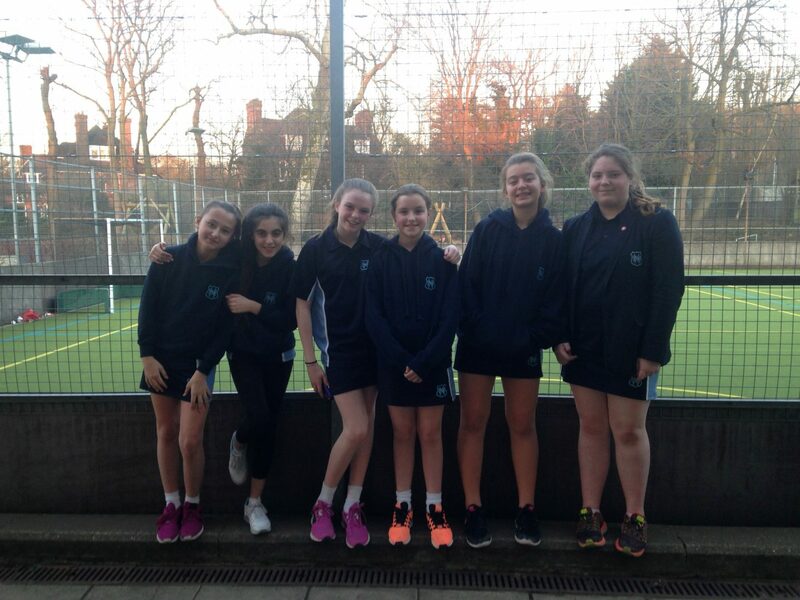 Our latest new emerging talent is the Under 13 Girls’ Basketball team. The new kids on the block played their debut match against The King Alfred School on 24th February and showed great promise, guts and determination. The girls managed to score 18 points to their opponents’ 30, only losing the lead when the competition intensified in the second quarter, proving their experience on the court. Nevertheless, coach Mrs O’Keefe (PE teacher at NBH Senior) was extremely proud of the team – who are already looking forward to their next match. Well done to all players: Connie (Captain), Francesca, Grace, Mia, Eliana and Lia. Over on the boys’ field, the Under 15 Football team secured an impressive victory against The King’s School on 25th February, winning 2-1. Star striker Max scored both goals for NBH; the first was a precise left foot finish and the second a delicate chip from outside the area. The win was the strategic and skilful work of the whole team however, who played with great solidarity.